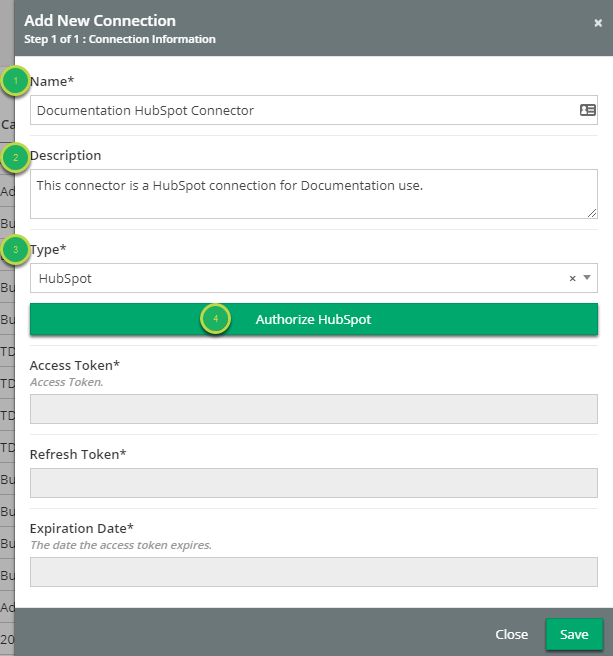 Documentation and SupportReleases Feijoa Release Notes 2018.02.17HubSpot Connector Now Available! First click the 'System' Icon. 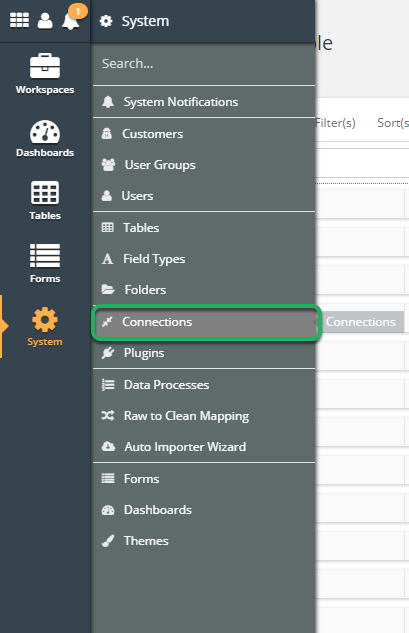 Click on the 'Connections' System Tool. 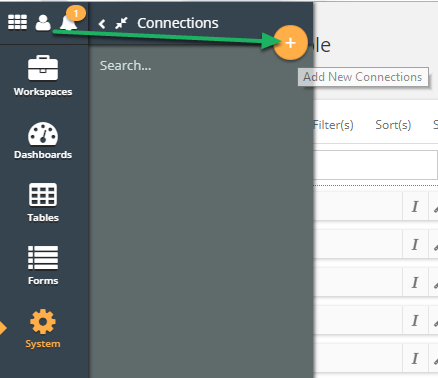 Click on the 'Add New Connections' button (+). Fill out the required information in the 'Add New Connection' modal. Name: The name of the Connection within the system. Description: Any information to be included about the Connection. Type: The type of Connection to be created. Select HubSpot here. 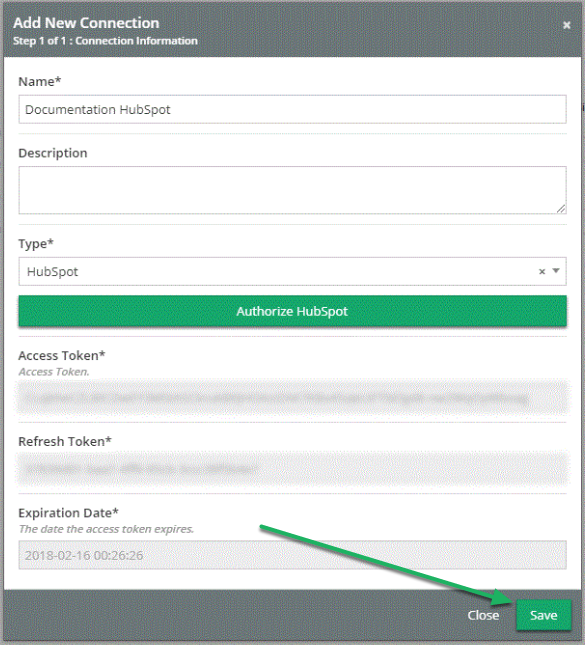 Authorize HubSpot: Click here after completing the modal information. 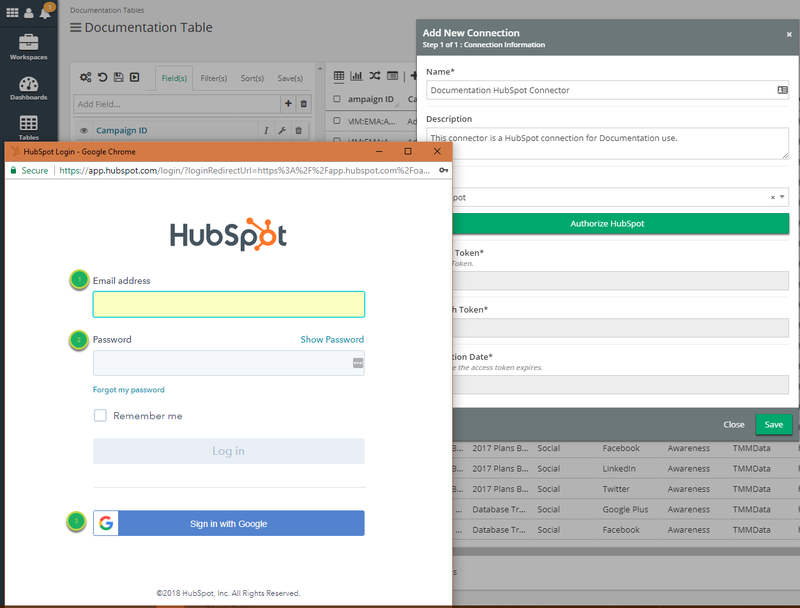 The HubSpot Login window will open. Email Address: Enter your HubSpot username/email here. Password: Enter your HubSpot password here. Sign In With Google: You can also authenticate with your Google Account. After you log in to HubSpot your Connection with be Authenticated. Click Save to complete the Connection creation process!